It used to be what he did at play time. 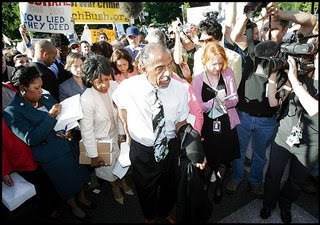 …But, now Conyers says he is very close to push for impeachment. Impeachment on what charges, we don’t know- But, impeachment none the less. Remember- He did promise this. MORE Impeachment talk at Newsday. Michelle Malkin has more on the Impeachapalooza craze on the Left.